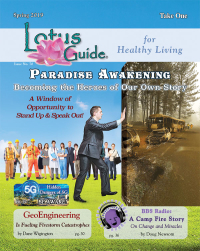 Rebecca Hardcastle Wright, PhD, is a global specialist in Exoconsciousness. She originated the concept of Exoconsciousness to define the extraterrestrial origins, dimensions and abilities of human consciousness. 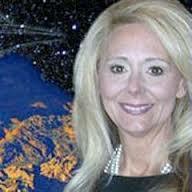 Her work is informed by leading-edge research in consciousness, ufology, cosmology, and quantum science as it pertains to the evolving role of humans relating to our cosmos as extraterrestrial beings. Wright’s book, Exoconsciousness: Your 21st Century Mind, published in 2008, details exoconsciousness through metaphysics, religion, frontier science and ancient knowledge. Wright is dedicated to the advancement of human-extraterrestrial consciousness to accelerate our transition into an evolved space-faring race. Dedicated to assisting experiencers with healing, empowering and integrating their relationship with the extraterrestrial presence in their personal and public life, Wright continues the legacy of John Mack. Wright was trained as an experiencer therapist by Dr. Ruth Hover, who was a colleague of Dr. Leo Sprinkle and Dr. John Mack. Hover participated in Harvard University’s “Program for Extraordinary Research (PEER)” founded by Mack for the exploration of “Anomalous Trauma”. Hover led what is perhaps the longest running experiencer group in the nation. Specializing in transformation, self-empowerment, trauma recovery and emotional healing, Wright maintains a practice in Exoconscious Coaching and Holistic Hypnotherapy in Washington, DC. 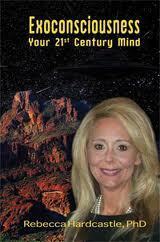 She was on the clinical staff of Mind Body Medicine Center, Ron Peters, MD, in Scottsdale, AZ. Wright was Washington, DC representative for Quantrek, founded by scientist and Apollo 14 astronaut, Dr. Edgar Mitchell. As a research organization and international team of scientists combining science and spirituality with quantum physics and cosmology, Quantrek is dedicated to the research and applications of quantum hologram and zero point energy. With Dr. Suzanne Mendelssohn, founder, and Terri Mansfield, and Wright was a partner in Fundraising in the Public Interest, a firm involved in international billionaire fundraising for social change and creation of a new era of zero point energy. An ordained Elder in the United Methodist Church, Wright served as an inter-faith university chaplain at Wright State University in Dayton, Ohio. Within the United Methodist denomination she was a representative on national boards and general agencies. She has a Masters of Divinity from Boston University School of Theology and doctorate in Parapsychic Science from American Institute of Holistic Theology. In 2005, Wright taught one of the first ufology courses in the nation, Extraterrestrial Reality, at Scottsdale Community College in Arizona. She was also on the faculty of Exopolitics Institute and International Metaphysical University. 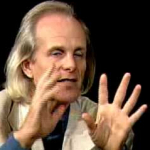 In 2008, Wright presented Exoconsciousness and Psychopathology at the American Philosophical Association, Karl Jaspers Society, published in the Existenz: An International Journal of Philosophy Religion Politics and the Arts.